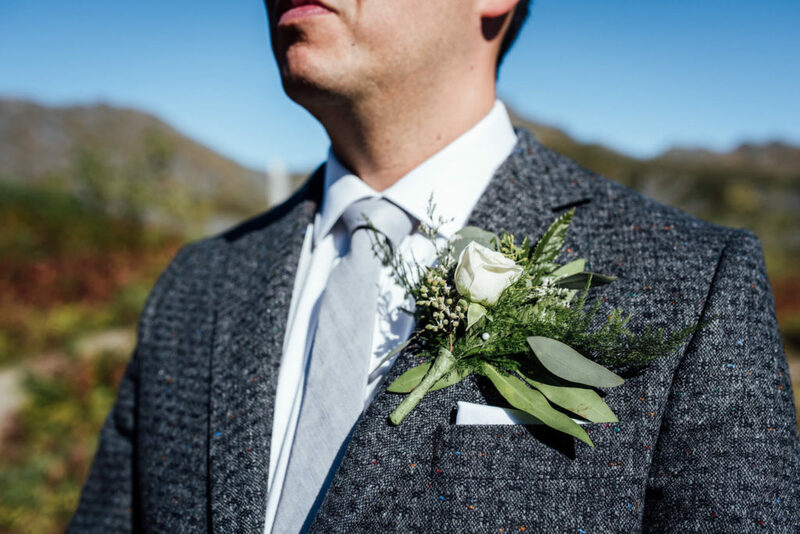 I love when clients think outside of the box. 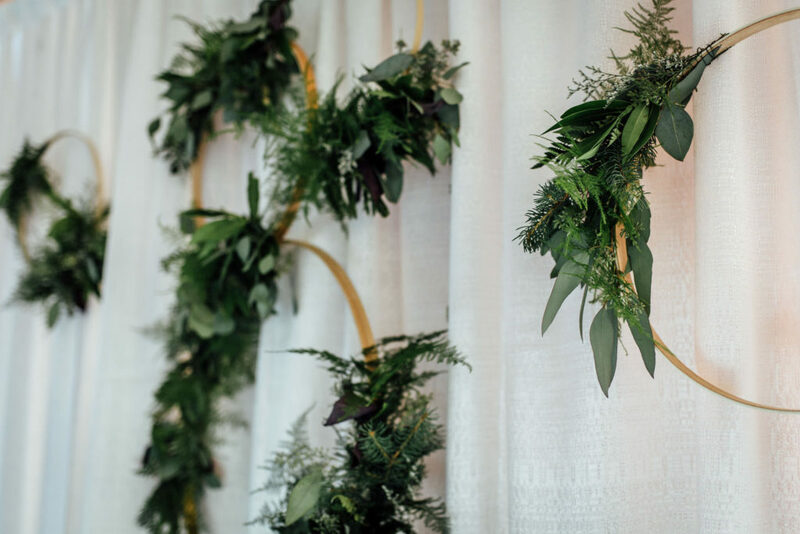 Meghan and Charles wanted a woodsy theme for their wedding florals to go with their wild Alaska shindig. 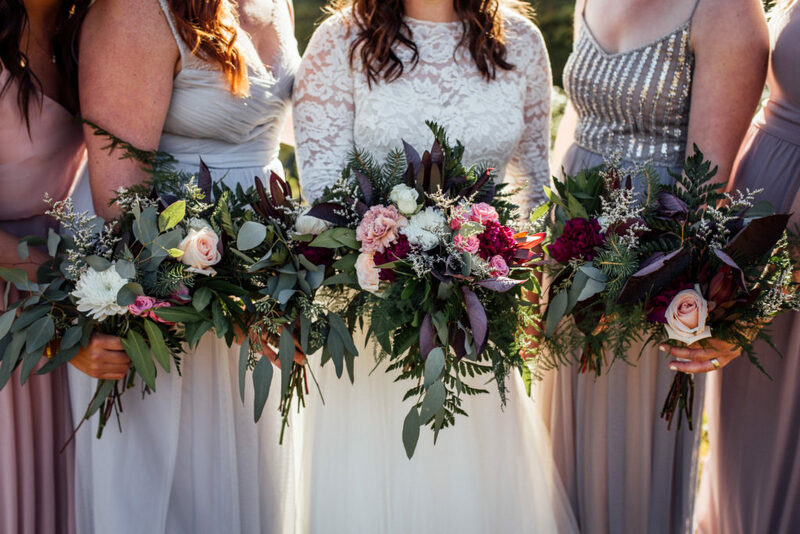 Their palette of blush, magenta and burgundy was a combination I don’t use often and it was so much fun. 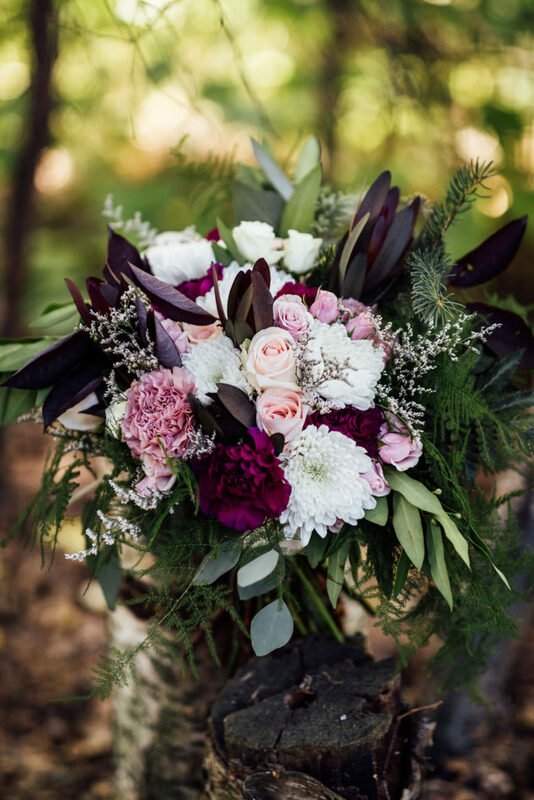 Meghan embraced carnations, which always brings me joy. 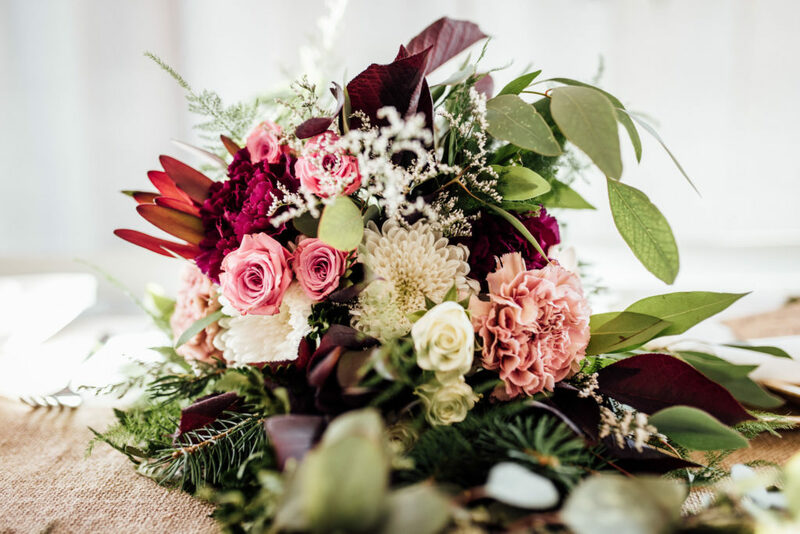 Carnations get a bad rap, but when used with a variety of other flowers and greens they can add texture and color unachieved by any other bloom. 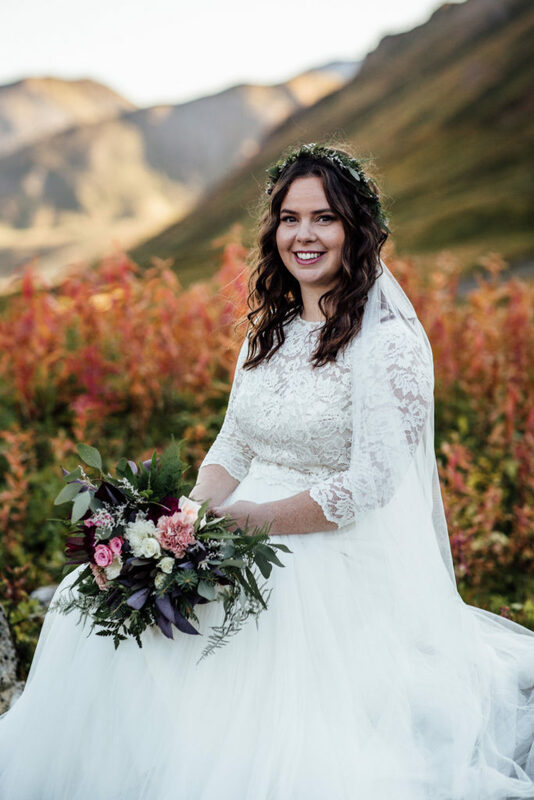 The couple also wanted to bring the forest inside, but since they were getting married far away from Anchorage, they would be transporting the flowers themselves, so they needed something easy to move. 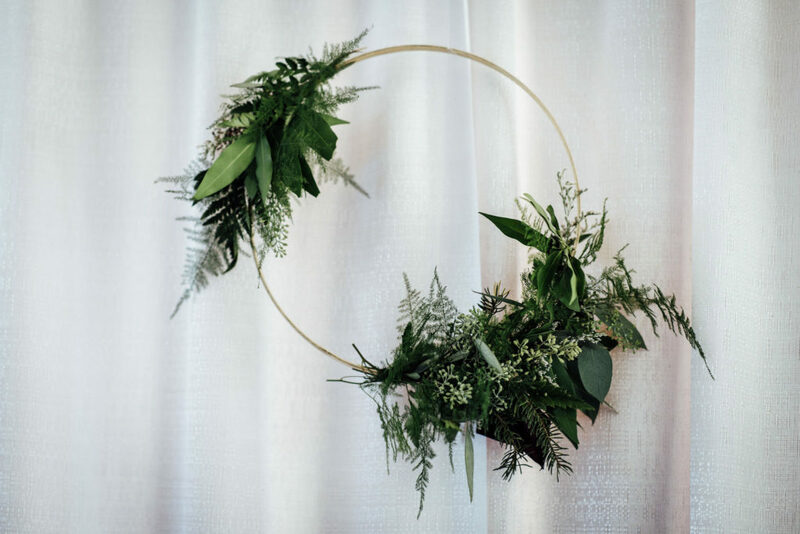 I created delicate greenery wreaths using 23″ quilting hoops suspended with fishing line. I was happy with the result. What wasn’t captured was a 3-D chandelier where I glued two hoops perpendicularly and wired greens to it. 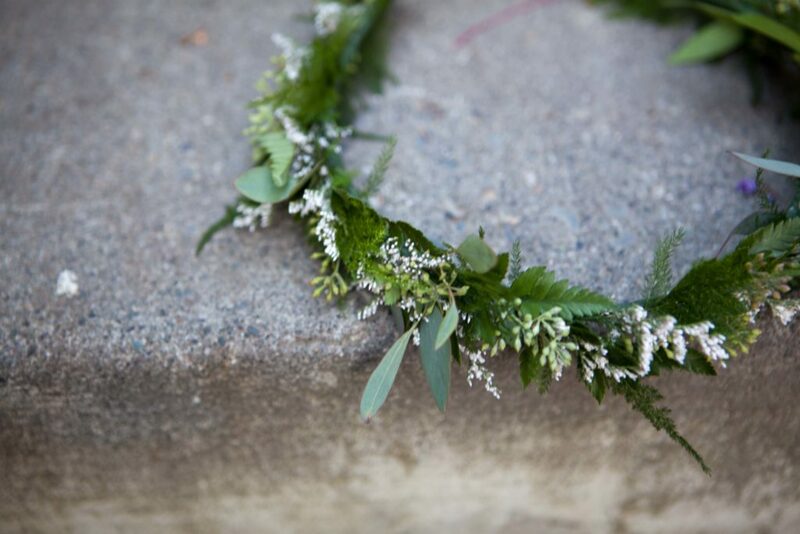 Delicate bridal crown made with eucalyptus, fern and limonium.